The National Lottery better known as Lotto whose debut draw was held in 1994 on 19th November continues to be the most popular sweepstake event in the United Kingdom. The lottery’s popularity can be gauged from the fact that over 32 million adults (nearly 70% of UK’s populace) purchase coupons regularly in the hope of winning a slice of the mammoth prize money. UK Lotto has spawned over 3600 millionaires in the past 24 years, dishing out almost £53 million in takings. The present rules which enable UK lotto coupon holders six distinct opportunities to pocket a cool £2.5million (the minimum jackpot amount) will witness some changes that will be introduced from the November 21st draw onwards. It is expected that these changes will make the sweepstakes more riveting, attracting a more significant number of participants to try their luck. Let us review what these changes are and how the same will influence the lottery, but before that, a sneak peek into how the draws have hitherto unfolded and the major changes effected till date. 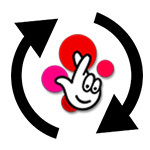 National Lottery has decided to add the changes after in-depth consultation with all the stakeholders in the Lotto, including players and retailers. The franchiser has paid heed to stakeholders’ feedbacks which mean the draws from 21st November onwards will see players winning bigger jackpots, and more frequently. At the same time, the rule tweaks will lead to a greater sum of money being donated to the ‘Good Causes’ Fund. Players will be delighted to know that the ticket price will remain the same (i.e., £2). On the other hand, the sweepstake matrix or structure will also stay unchanged. Simply, put you’ll continue to select numbers from 1 through 59 and your chances of cornering the top prize will be the same as before. To take part in the draw, you’d need to buy a coupon with six distinct numbers chosen by you (in between 1 and 59 for every line). Alternatively, you can opt for the ‘Lucky-Dip’ ticket that contains numbers generated at random. At first, you’d have to choose the total number of lines you’d prefer to play. The maximum number of lines you can play at any given time is 70. The draws are organized twice a week (on Saturdays and Wednesdays). Again, you’d have the option of playing in both the weekly draws and at last, you’ll have to decide the total number of weeks you’d want to play. For playing a single line, you’d have to pay £2 (that also allows you to participate in Millionaire Raffle) and the more numbers you match, the higher is your prize money. More actual information and rules about Lotto you can find here. Still 59 numbers, still a nice earner for the Canadian Teachers, bring the Lottery home, the pickle man at Virgin should be running it AT COST like they said.